It’s been a little while since my last post and the main reason for this is not really a valid one; I didn’t think the books I’ve been reading (or rereading) recently would be viewed as valid for a post. They may not be addressed for adults or win numerous awards, but I feel they cover much deeper topics then most adult books. 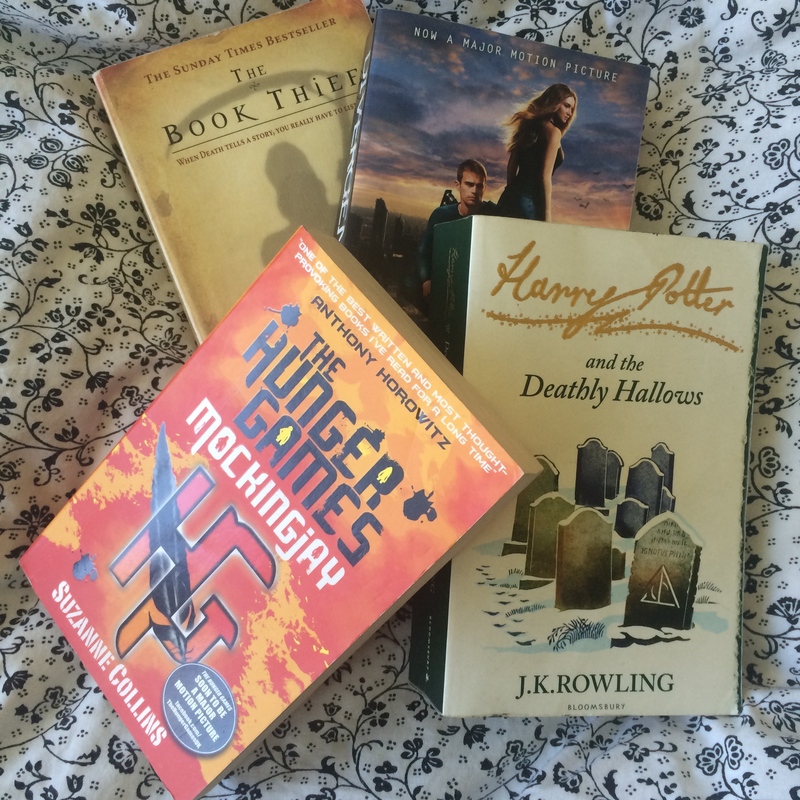 Young Adult fiction allows its readers to grow up and experience its stories within themselves. They manage to encapsulate an aspect missing from most adult fiction; a mixture of emotions and challenges echoed into a new world, yet relatable to most teenagers. So with my literature module set texts turning to the holocaust, I needed some lighter relief. Characters I’d met before, enjoyed their adventure and wished to reimagine their story. I’ve spent the last week rereading The Hunger Games to escape my current world and fight Katniss’s. From this, revolution clearly plays a large role of overcoming a repressed world, highlighting the lucky position we currently live in, a chance to acknowledge our past civil wars which led to the Britain of today, or the two world wars that brought harmony back to Europe and the world surrounding it. These are certainly not the first books to introduce such topics, not even the first Young Adult or children’s books to do that too; look towards Harry Potter, The Book Thief, The Boy in the Striped Pyjamas or Divergent each oppressing strict regimes and war. However each of these brings a new addition to the themes they introduce, allow us to live through world so different yet so similar to our own. What books have defined you from your childhood?